Mind the Bridge and Crunchbase (with the support of Orrick) have tracked over 15,500 startup exits worldwide since 2010 for a total value of about 1.3 trillion dollars. The US and Europe still control the majority of deals and capital (83%), with Silicon Valley running the show: the top 15 world acquirers are all US companies with 9 from Silicon Valley. In Europe, The UK is the “exit capital”, followed, at a distance, by Germany and France. We have also noticed a trend showing that 48% of the startup acquisitions have been completed by startups or former startups. 2017 has featured the highest YoY increase in deal volume (42%) since 2011. Europe is growing faster compared to the US, even if the gap remains huge, with US corporates acquiring over 3 times more startups than European counterparts. The US shows a good equilibrium between number of exits and number of acquisitions, while Europe still runs a negative M&A balance (more startups sold than acquired). Countries like South Korea, China and Japan have been confirmed to be “net acquirers” of startups. 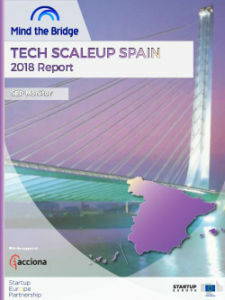 This report also confirms the “Power Law” of venture capital: 71% of the exited startups don’t return the capital invested, while 13% return more than a 3x multiple (3% with wild multiples). Created and organized by Mind the Bridge and co-organized with EIT Digital, EID (European Innovation Day) is the Digital Europe Conference in Silicon Valley and the central event of SEC2SV (Startup Europe Comes To Silicon Valley).